Vitamin C for Wrinkles - why & HOW you should use it! 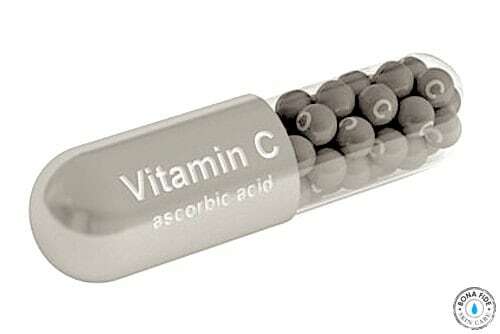 Vitamin C for wrinkles is an anti aging skin care ingredient that really can make a difference. Vitamin C is notoriously unstable so needs to be used properly – find out how on this page! First we’ll look at the benefits, then how to use it to maximize your anti aging results. Remember, all Vitamin C creams and serums are NOT created equal! 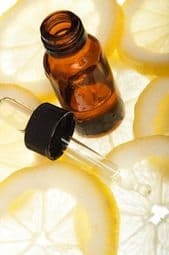 Caution – all Vitamin C Skin Care is not created equal! Vitamin C is an unstable molecule. It oxidizes fast and is then rendered useless. Products on shelves containing this ingredient may have a good dose – but often it’s not in the right form (L-Ascorbic Acid is the form ideal for skin care) – it wasn’t extracted correctly in the manufacturing process, or it has oxidized already from exposure to light or air. This is one ingredient where you’re better off ignoring store and brand name products, and simply creating your own! Allow your skin to build up its tolerance, just like any other acid. Once you are using 10 – 20% concentration this is when you will notice great, long lasting results. If at any time you notice irritation or redness, reduce usage to every 2nd night. Apply after you cleanse every night and follow with your normal moisturizer. Easiest way is with your fingertips or cotton pads. Vitamin C is a powerful anti aging ingredient that can reduce wrinkles, tighten your skin, and make it healthier overall. Due to its weakness as a molecule, most brand name products are nothing more than expensive, fancy looking creams or serums. Much better to make your own, and much cheaper! I purchased Lezuna Vitamin C Serum. Is that a good product? Helen, did you not read the article? She definitely encourages people to make their own Vitamin C serums. She actually gives recipes on how to do it. And you’re asking if what you bought is a good product?